A 1956 Packard was nice enough to give up its dash for this cool little roadster. 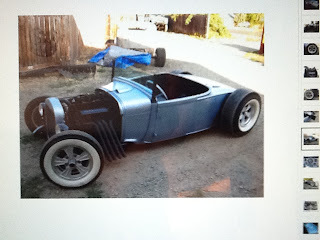 My roadster will be built a lot like this one. Another nice touch was that the license plate slides left, revealing the trunk latch. Every once in a while something will pop up on e-bay that really catches my interest. In this case, it's a 1929 Ford Model A roadster for sale in Medford, OR. So what's the big deal with this particular car? Well, somebody did a lot of custom work on it and it is very late 50's cool. 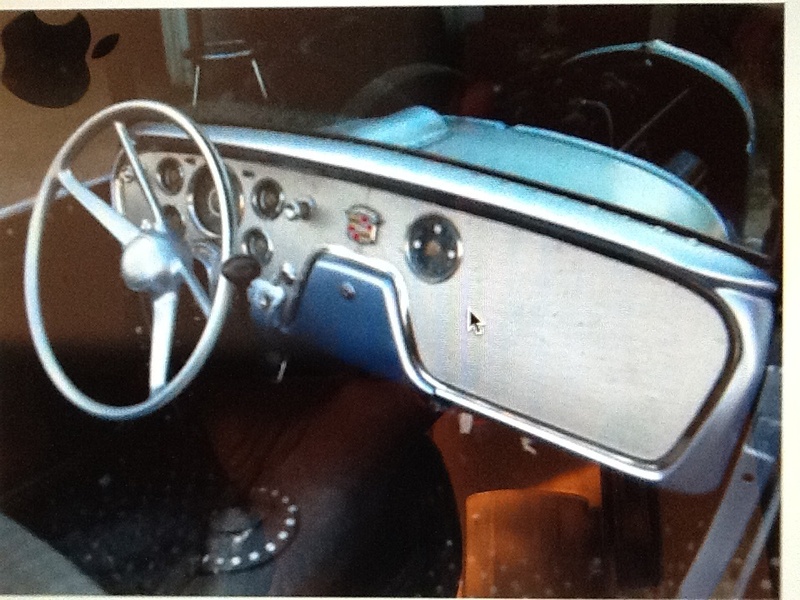 Particularly inventive is the dash board which is a 56 Packard unit. Forgive the photo quality, but we had to photograph the car off of my computer screen using my wife's I-pad. How much do I like this dash on my '29? Well, let's just say I might just steal the idea hook, line and sinker. Of course, it does look like it could use being sectioned a little bit. There, that's really not so much like stealing. It's more about being "thoroughly inspired".